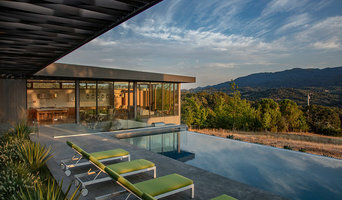 Sonoma's Award-Winning Architectural Design Firm | 3x Best of Houzz! Inspired Spaces, Inc. was just voted #1 Interior Design firm in Sonoma County! Savvy in both Residential and Commercial design, we specialize in kitchen renovations, whole-house remodeling and commercial restaurant design. Our fresh take on the design process makes it a fun process for both clients and contractors. Humanity Home & Cabinetry, LLC. 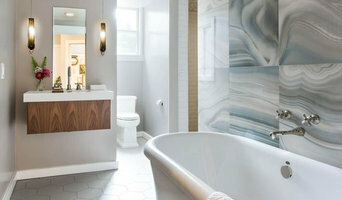 *Authorized Crystal Cabinetry Dealer* Humanity Home & Cabinetry is a full service interior design showroom specializing in kitchen and bathroom design and cabinetry. In addition to providing custom cabinetry for every style and budget. We carry a variety of beautiful cabinetry lines from our trusted manufacturers, including Woodharbor Custom Cabinetry, Crystal Cabinet Works and Bellmont Cabinetry Company. Humanity Home & Cabinetry also offers a wide array of beautifully tailored furniture, home accessories, lighting, rugs and original artwork. Whether you are planning a remodel, in the market for design services, furniture or accessories or are “just looking,” Humanity Home & Cabinetry is the perfect place to fantasize about your ideal home. Kelly Silverstein| Humanity Home & Cabinetry, LLCOwner, Kelly Silverstein has been an interior designer for over 12 years. Her resume includes both residential and commercial spaces. Her approach to design is a healthy mix of style and realism. Having a beautiful space is only half of the equation. A successfully designed space has to function according to each owner’s unique requirements, such as family size and age, activities and of course our beloved pets. Kelly takes all aspects of her clients’ lives into consideration when designing the ideal space for their home or business. Hiring a “designer” is not merely for the rich and famous. We all have priorities when it comes to our time and our budgets. A good interior designer should assist you in making smart, well thought-through decisions when investing in your home. When done correctly, an interior designer will help you save money and time, not to mention the headaches and heartaches that come with buyer’s remorse. This is the foundation upon which Humanity Home & Cabinetry is built. I believe that everyone deserves a beautiful, comfortable and functional environment. Imagine your dream kitchen, your own spa bath, or why not reinvent your home with new colors? I will find great design solutions for all of your needs at a price you can afford. I will work with you to create a home that is beautiful, functional, and a reflection of your style and personality. Nancy is an Allied Member of ASID (American Society of Interior Designers), and she has the knowledge and experience to guide you through the processes involved in designing, redesigning, remodeling or simply selecting materials and finishes. My goal for every project, small or large, is to give our clients an unsurpassed level of dedication and personal attention. 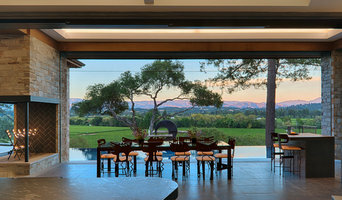 Sonoma County Interior Designer - Best of Houzz Award WInner! Sonoma County is our home. We are committed to being a part of the rebuilding of this community and are proud of the resiliency we have witnessed firsthand. Please do not hesitate to reach out to us for any and all questions about restoration projects. 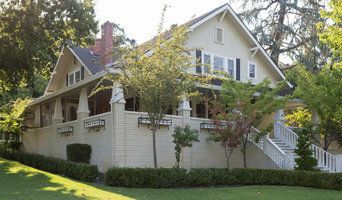 Zeitgeist Sonoma is a boutique design firm and the creative collaboration of Jessica Kahn Wichmann and Efraim Wichmann. Whether we are designing your brand new home, remodel, or interiors, we approach every project as a gestalt, a whole, aware of the dynamic interplay between the interior and exterior aspects of a space. Our comprehensive assessment allows us to integrate a client’s vision, lifestyle, functional needs, and work patterns -- and the result is a smart, sophisticated, comprehensive solution that will fit you like your favorite pair of jeans. And always, we strive to responsibly utilize local and environmentally sensitive building materials and methods. We create lasting expressions of beauty, interest, and comfort through interior design and custom lighting. Every project receives the uppermost attention to detail and our commitment to your complete satisfaction. It all started in 1892, when J.C. Pedersen, a Danish immigrant and cabinet maker, opened the doors of our first furniture store at the corner of Fourth and A Streets in Santa Rosa, California. Since that time, four generations of the Pedersen family have owned and operated the Pedersen Furniture Company. Everyone who works at Pedersen’s and every aspect of the company’s operations are guided by a commitment to building lasting customer relationships based on providing quality home furnishings, exceptional service and guaranteed lowest prices. We are committed to making your shopping experience enjoyable and helping you create a home you will love for years to come.